A fundamental belief of our founders is that the festival should benefit both the local community and economy of Stratford-on-Avon district; we encourage you to attend the parade and take an active part. Our flag packages are based on a minimum contribution of £75.00 plus a setup cost of £50.00, for the provision of a flag and corresponding shield. If we don’t already have your flag, we will supply a national flag and shield. 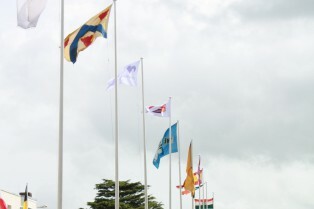 If you would like your own flag and shield please contact Charles Wilson, by telephoning 01789 269332 or emailing charles.wilson@stratford-tc.gov.uk, who will be pleased to provide further details.